Legacy Donor Foundation highlighted the importance of organ donor registration. The annual “Soul Revival” celebrated life and raised awareness of how organ, eye and tissue donations can make an impact on all generations. 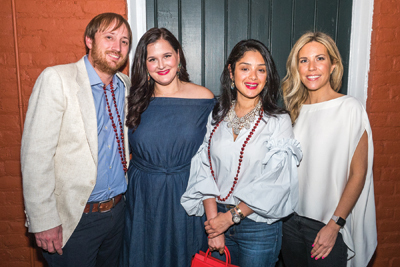 The event, created by founder, the late David Voelker, highlights the passion behind Legacy Donor Foundation’s mission of saving lives by inspiring Louisiana residents to register donors. Event Co-Chairs were Casey and Mark Westguard; Stacy and Jim Pellerin; Lindsey and Brock Pellerin; Katie and Stephen Furtado; Corrie Pellerin; Caroline Pellerin; and Jamie Pellerin. Lauren and George Brower were the 2017 Honorary Chairs and hosts of “Soul Revival” for the past four years. Prior to the main event, Ray-Jay and Gee Trio entertained while patrons enjoyed the VIP lounge and balcony. Passed hors d’oeuvres and specialty cocktails from Republic National Distributing Company were served. Sponsors, board members and Event Co-Chairs were guests of honor. More than 500 guests attended. Later, the Progressive Baptist Church’s Gospel Choir opened the gala, and BB King’s All Star Band was the entertainment headliner. Large heart signs on the balcony, jazz-inspired artwork and decorations added to the soulful feel.